Discussion in 'Ridiculous streetbikes with 6 CPUs and too much HP' started by Platypus-3in1, Sep 23, 2017. 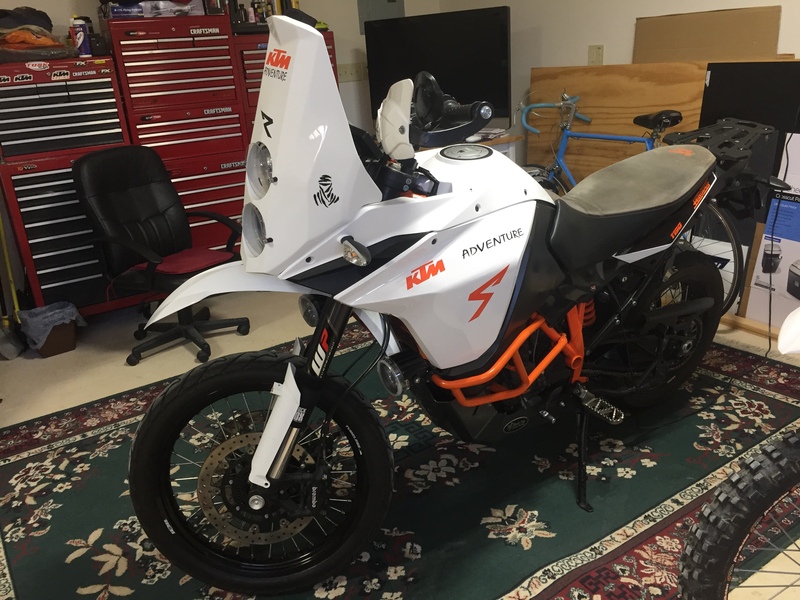 There are no perfect bikes and never will be but KTM seems to be racing for it! ... Lets see your’s! Turn Key ... Childish Grin! MartinPetren and NotAllWhoWanderRLost like this. Glirving, TMGPracer72, marbee40 and 8 others like this. SURFINASPHALT, rickmdz and Wodger63 like this. Nice bike Can you give us some more info about your bracket for the super duke exhaust? I have one in the garage but still need a bracket to mount it. I don't know how long will last though, I guess a metal shop could fabricate one pretty easily. Avatar pic. Only good one I have of the bike so far. krussell, zonth, Crazygreek and 12 others like this. Thats the Touratech bash plate? JustBob, 2wxplorr, ridefire and 6 others like this. It's a B&B Offroad one made here in Australia. Available in black or natural alloy finish. Rear mounts to the frame not the engine. NotAllWhoWanderRLost and WAGmore01 like this. 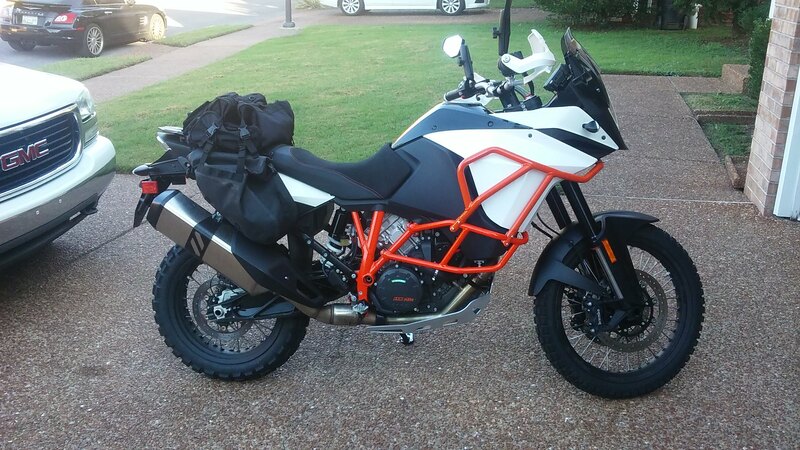 06Klr650, NotAllWhoWanderRLost, rickmdz and 1 other person like this. zonth, LonelyRider444, marbee40 and 13 others like this. Dan Lorenze, Fearless Whetu, 06Klr650 and 10 others like this. Dragonflylily, 06Klr650, NotAllWhoWanderRLost and 2 others like this. 06Klr650, Fearless Whetu and NotAllWhoWanderRLost like this. euskalherria, marbee40, cotafan and 8 others like this. ridepie, euskalherria, 1090yoyo and 12 others like this. Dan Lorenze, TakSD, cookieGB and 6 others like this.